Celebrated for his unique style of phrasing and his belief that musical expression should be prized above technical showmanship, German violinist Adolf Busch was one of the first leading artists of his day to embrace the recording process, following the birth of the 78rpm disc. A rich and significant catalogue ensued: from solo and duo works to some of chamber music's most famous masterpieces, this special collection details the many parameters in the classics as laid down by Busch and his esteemed colleagues – interpretations which remain unsurpassed to this day. 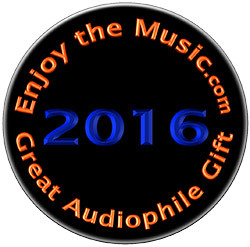 This 16 CD set, which you can pick up on Amazon for around $40, is the gift that will keep on giving for any serious lover of classical music. The recordings date mostly date from the nineteen thirties, but the latest remastering is remarkable in preserving the vitality and color of the playing. Simply put, no other recording approaches the level of musicianship on show here in the Beethoven quartets, or in the many other splendors in the box. Don't even bother checking the list of recorded works, just take my word for it, this is to chamber music what Schnabel was to the piano, and then some. 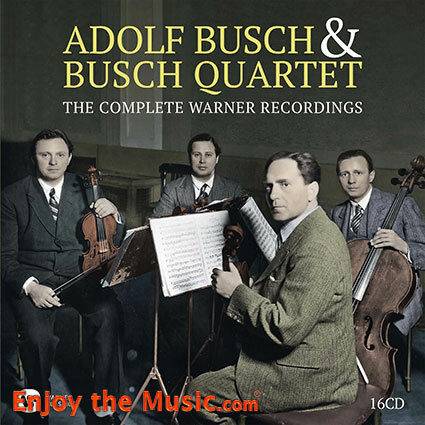 Get The Complete Warner Recordings Adolf Busch And The Busch Quartet at Amazon.